Well now you can find out exactly what happened when the boys in black and white played on 10th January. League Two promotion hopefuls Oxford United knocked the Swans out of the FA Cup in a 3-2 Third Round victory at the Kassam Stadium. Alan Curtis’ side had gone ahead through a rare Jefferson Montero strike but ultimately paid the price for making 10 changes. A second half goal from Bafetimbi Gomis reduced the deficit but Michael Appleton’s side fully deserved their historic win. The Swans and West Ham United fought out a 1-1 draw at the Liberty Stadium in the Premier League. A Mark Noble own goal cancelled out the visitors first half lead given to them by the Swans perennial nemesis Andy Carroll, whom has now scored four goals and assisted in three in six Premier League games against Swansea. Bafetimbi Gomis had originally claimed the goal but the Frenchman was to be denied by the Premier League who adjudged that Noble had indeed had the last touch. The draw meant that the Garry Monk’s team remained in 9th place in the table, having lost only once at home in the league so far during the season. For once referee Mike Dean didn’t make any controversial decisions! Roberto Martinez Swans ended a run of eight successive draws with a 2-0 win at Coca-Cola Football League Championship rivals Burnley. 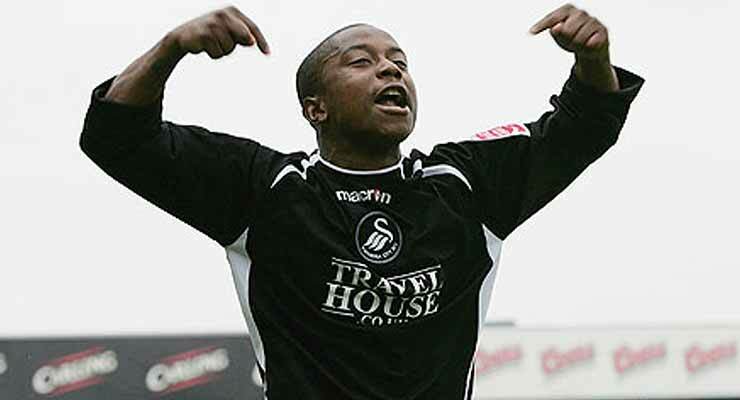 A goal in each half (the first from the penalty spot) from Trinidad & Tobago striker Jason Scotland helped the Swans to move within six points of the play-off places as Nathan Dyer made his Swansea City debut. The Swans moved back to the top of Coca-Cola League One thanks to a 3-1 win at the Liberty over MK Dons. The 11,922 crowd were treated to a 22 minute hat-trick from debutant Leon Knight as the Swans made light work of their bottom of the table opponents. Manager Kenny Jackett also handed a debut to Cypriot international Tom Williams who signed for the club from Gillingham during the January transfer window. Bury beat the Swans 2 nil at Gigg Lane in this Nationwide Football League Division Three game in front of a 2,799 crowd. Brian Flynn’s men dropped to 8th position in the league on a miserable afternoon compounded further by defender Richard Duffy being shown a straight red card by referee Mike Dean (yes it’s the same Mike Dean!). Brighton lost 1 nil to the Swans in a bottom of the Nationwide Football League Division Three table clash. The game was actually played at Gillingham’s Priestfield stadium, as Brighton had sold their Goldstone Ground the previous year. Tony Bird grabbed the only goal of the game during the first half, as Alan Cork’s men moved up one place to 21st thanks to the away win. Top of the table Swindon Town comfortably beat the lowly Swans 3-0 in an Endsleigh Insurance Football League Division Two game. It was the 8th successive game without a win for Jimmy Rimmer’s team. Terry Yorath’s Fourth Division Swans dumped Second Division West Bromwich Albion out of the FA Cup in a memorable 3-2 3rd Round victory at the Vetch Field. The 8,792 crowd enjoyed an excellent cup tie with Sean McCarthy scoring his 2nd goal and the Swans winner in injury time. Andy Melville scored the Swans other goal, helping secure a Fourth Round game at home against Hull City. 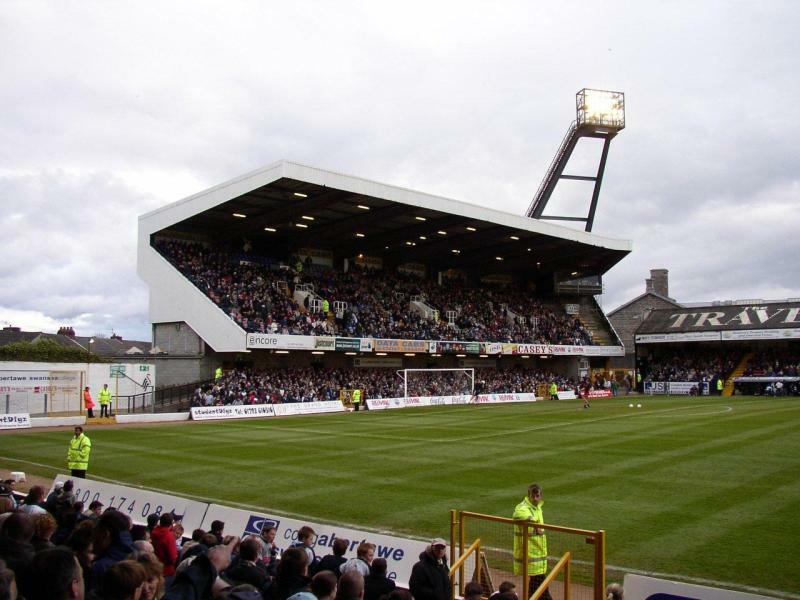 A crowd of 22,110 watched the Swans lose 3-1 to West Ham United at the Vetch Field in the Football League Second Division. Alan Curtis scored the goal for John Toshack’s team in this 2nd v 1st place clash of the between the teams. The game also marked the opening of the new East Stand at the ground.